The bootloader essentially does what we’ve always thought it would do, lock you out should you try to tamper with it. How is this new? Is it because we have a locked bootloader stateside finally? Seriously, this might have been the most obnoxious rumor on the face of smartphone earth. Can we officially drop it now? 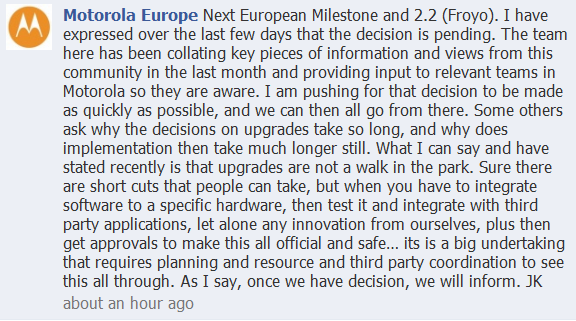 That sounds like 50/50 odds for Milestone Android 2.2 to me…let’s hope not. Update: As this was sitting in line to post, it looks like Engadget received a similar response from Motorola. You can read it here. 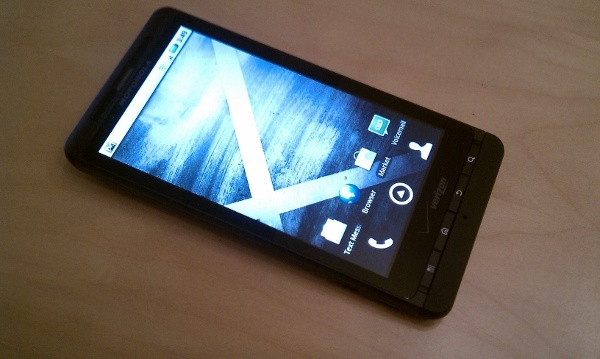 Verizon Selling Mobile Hotspot Feature for DROID 1? OTA Update Coming?